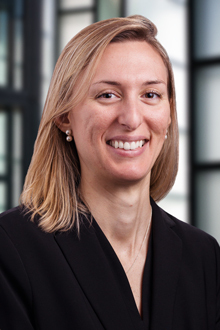 Elena Brander is an associate in the Boston office of Lewis Brisbois and a member of the Professional Liability, General Liability and Labor & Employment Practices. She focuses her practice in Massachusetts and New Hampshire on defending businesses and professionals facing legal dilemmas involving premises liability, employment disputes, including claims of wrongful termination and discrimination, construction-related claims and more. A Massachusetts native, Ms. Brander attended the University of New Hampshire School of Law on a merit-based full-tuition scholarship, and graduated as a Member of the School’s prestigious Daniel Webster Scholar Honors Program. During law school, Ms. Brander completed a summer internship in the Civil Bureau of the New Hampshire Attorney General’s Office and a Summer Associateship at a private law firm in Portsmouth, New Hampshire. As an attorney in private practice, Ms. Brander has enjoyed her experience appearing in court and counseling clients with a mind geared toward economic efficiency.